Chef Richard Bainbridge is the Executive Chef and Owner of Benedicts, a cosy little restaurant situated on St Benedicts Street in Norwich. Part of Norwich Lanes, this once rather tired and rundown strip has rehabilitated itself into a super quirky and trendy street filled with tons of entrepreneurial places. Richard runs Benedicts with his fab wife Katja who takes care of all of the business and commercial aspects of the restaurant…this place is their little baby (apart from their actual baby, Holly!). I stopped by here with Seasoned By Chefs where I had the most amazing lunch and had the chance to meet Richard, who I just loved—he’s a dynamo, full of energy! Benedicts isn’t the kind of place you head to for big budget, fancy interiors. This place is warm and welcoming with a simple French bistro feel—wooden floors, simple clean lines, wooden tables and chairs, and TOP NOTCH service to pull it all together. Honestly, the chap who looked after us was just phenomenal and I would gladly take him and the delicious food over a super expensive restaurant with all the frills but lacking in vibe any day of the week! Set up with just a few pounds in the bank, Chef Bainbridge and Katja laugh about how, in the beginning, they’d keep Holly’s baby monitor in the restaurant while they carried on working! He admits it was a bit of a hairy start and he owes a lot to his suppliers. 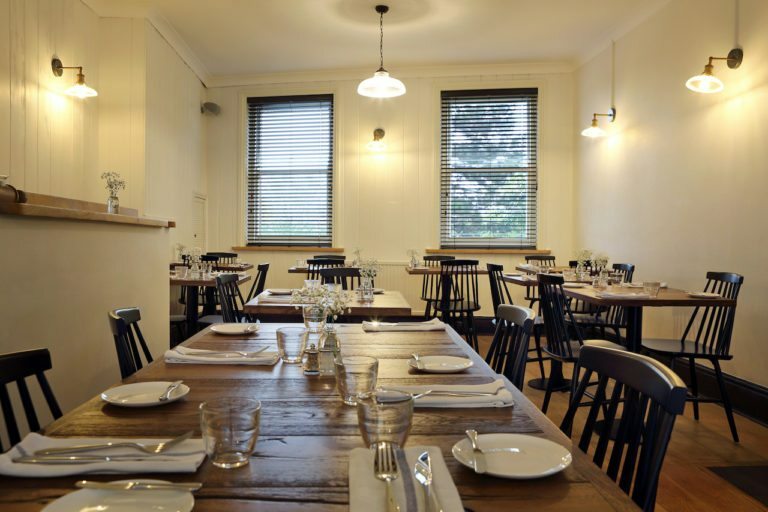 For a while, it was as though they were cooking meals just to pay the bills but they kept the restaurant simple and the focus on the staff who are very much dedicated to the place. Bainbridge had dreamt of opening his own restaurant since he was 13 years old. The minute he stepped into a kitchen, he knew he wanted his own. But like every now-successful chef, the path to foodie freedom wasn’t an easy one. Although the seed was planted in his mind that he’d one day have his own restaurant, he didn’t know when or where that would be. So, like many a great chef before him, Chef Bainbridge started working at the local pub, scrubbing dirty pots and pans. When he turned 16, he got a job at the local Michelin-starred kitchen and that was only the beginning. From there, he continued his culinary journey to New York, Bray, Dublin, and then finally back to where it all started—Norfolk. Chef Bainbridge joined Morston Hall as the head chef and took the time to learn everything he could during the 7 years he was there. Although he loved working there and thought of the place as his own, there finally came a point when something clicked in his mind and he knew it was time to make good on his dream. You can thank Katja for being the final push. The proverbial lightbulb went off in his head and, as he looked into the faces of his wife and baby daughter, he made his decision. Destiny and determination leapt into action because twenty minutes later, he had arranged a viewing of a restaurant space. Two days later, they found themselves looking around the property, feeling like they were finally “home” and a week after that, the offer on the place went through. Benedicts was born. He seeks inspiration from many chefs but working with Michel Roux Senior at The Waterside Inn is still the highlight for Bainbridge. Chef Roux, with his passion and tireless drive for perfection in every aspect of the hospitality business, is still someone who inspires him every day. In the kitchen, Chef Bainbridge draws upon his past, using memories and smells to create modern interpretations of the foods that are so deeply ingrained within him. He also wants people to be able to tell, in that first bite, what time of year it is. When the chef cooks, he cooks from the heart. And this, he believes, is also what naturally leads to beautiful combinations of flavours, textures, and colours. Rather than spend too much time overthinking visual presentation, he lets the ingredients come together on their own. For instance, strawberry and basil pair well together and naturally, so do the textures as well as the red and green colours. The dishes will build themselves if you just let yourself become free to the idea of what works. Because of this, Bainbridge takes the time to research suppliers. With all of the amazing produce available in the country, they all deserve their time to shine and where would the restaurant and kitchen world be without great produce? It’s full circle, really. One wouldn’t exist (or at least, not as successfully) without the other. We can’t talk about Chef Bainbridge in the kitchen without mentioning his now-signature dish—Nanny Bush’s Trifle, the winning dish of the 2015 Great British Menu. He says he never imagined such a simple dish would become the one that he is most recognised for but nothing has made him prouder than knowing that a dish inspired by his Nanny is the one now synonymous with his name. As for building a team that supports the success of Benedicts, the chef says it’s a constant battle looking for the right staff but the people currently onboard are all the right match. They’re excited about the industry and have the same ambitions and dreams, which is to produce the best hospitality experience they can, working together as a team that supports and grows around each other. It’s easy to keep his team motivated because Benedicts is as much their restaurant as it is Bainbridge’s. If a guest isn’t happy, the blame isn’t on just one person—the entire team (chef included) takes fault as a whole and they grow and learn from these experiences. Now that he has his own restaurant, he’s able to surround himself with people who are in sync with him and his vision, which has the added side benefit of much less shouting than during his days in other kitchens. The M.O. for Benedicts is to serve the best food and hospitality they can in an environment that is comfortable for both the team and the customers. Bainbridge likens their operation to a wave coming in on a beach—the staff move together seamlessly, constantly changing and growing whilst listening to the needs of their customers. Best meal you’ve had in the UK aside from yours? 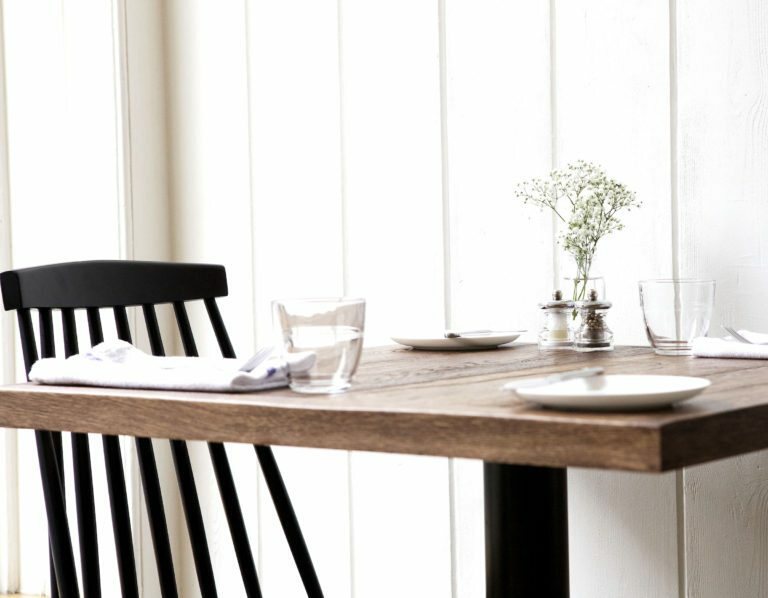 The Ledbury in Notting Hill. One word to describe you as a leader? Chef Bainbridge couldn’t think of one word so he asked his staff for feedback. He was overwhelmed to discover that they thought he was “encouraging”, “nurturing”, and “inspiring”—the exact 3 words he wanted to be when he first started the business. One word to describe your restaurant?